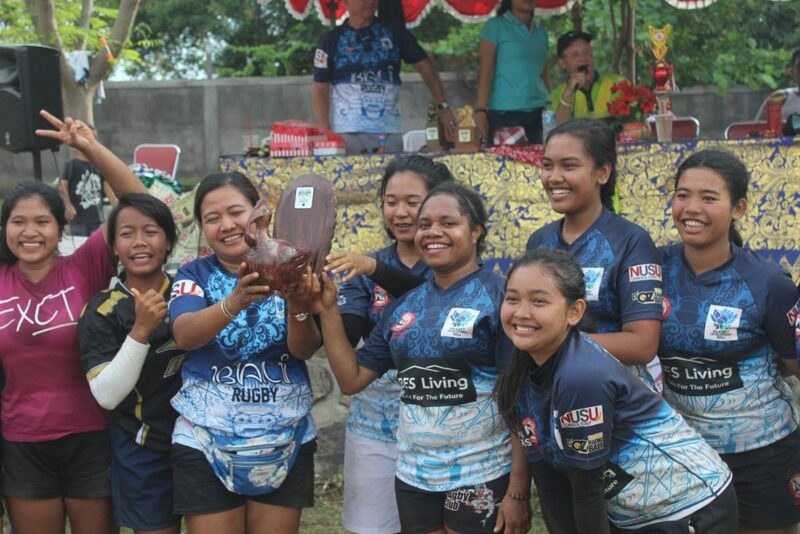 This 7s Series Development event is a program launched by PRUI Pengda Bali in cooperation with PRUI Pengcap. The teams arrived at the location of Undkisha by bus from each district at 08.00 am and the game opened at 09.00 am by the Chairman of KONI Buleleng with a Lineout ceremony. 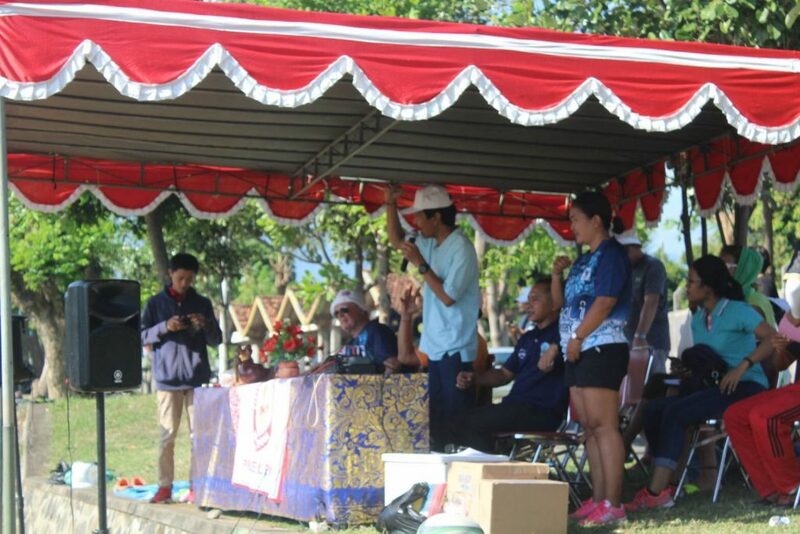 The Chairman was accompanied by Vice Chairman of KONI Buleleng, the Dean Undiksha as the coach of Ganesha Rugby and as Chairman Pengcap Buleleng. From the Chairman’s speech, KONI Buleleng will support rugby development in Buleleng and further rugby will be exhibited in PORDA 2019 event which will be held in Tabanan Regency. 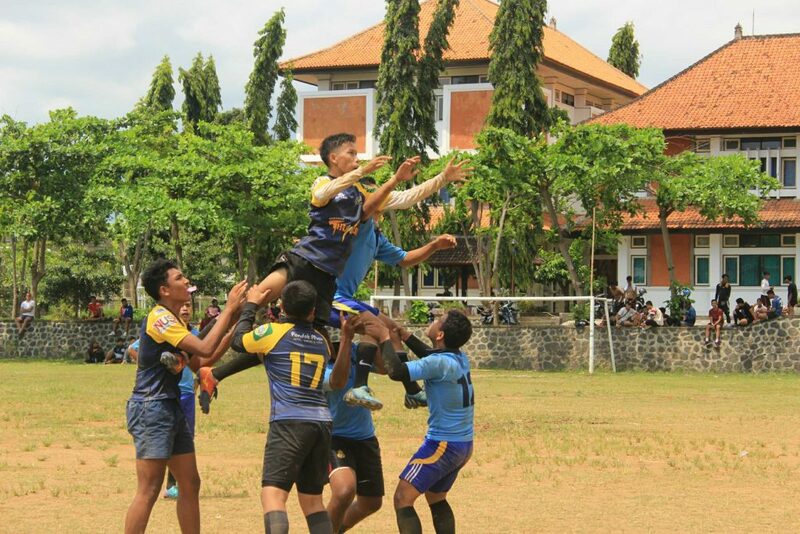 The tournament began with the first game of Schoolboy’s 7s with Super Garuda and Black Wolves with a win by Super Garuda. Shark Finns Blue played Spencer in a match for U14 and it was followed by BAKSO against Shark Finns Black. SPENCER and BAKSO are first time U14 teams to compete and they have been training for 3 months prior. 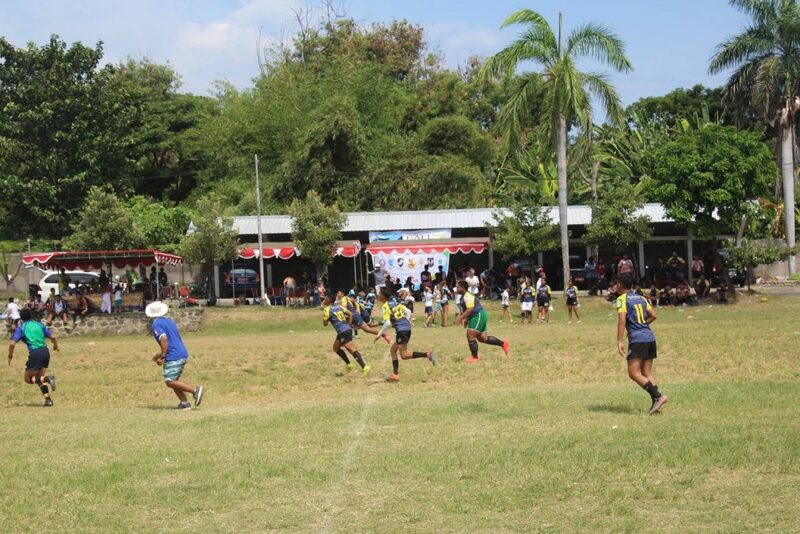 The matches went smoothly for the U14 and U17 categories, also for Women’s Open, but in Open Men’s 7s between Thunders (Tabanan) against Garudas (Gianyar), the game was halted 2 minutes in due to one of the athletes of Thunders suffering an unfortunate injury and had to be rushed to the hospital. With this incident all parties made the decision that Open Men’s games are postponed it was agreed by all parties that Open Men’s 7s Buleleng will be held at the next tournament of the circuit on May 12, 2018 in Gianyar. In this game, scores from each game were very close, and the improvement can be seen. Every game we have seen the level of the game is also more competitive. Our hope is the circuit will continue in Gianyar which will be held on May 12, 2018, with teams more prepared and a continued higher level of play. A very big thank you to the Chairman of KONI Buleleng who was willing to come to open this event and we congratulate to the co-host of PRUI Pengcap Buleleng Mr. I Wayan Artanayasa and Ganesha Rugby Club Mr. Gading (I Yoga Dwijantara) and his crew for the hard work to make this event a success, to all the coaches and officials of every team who have brought and managed the team to play with sportsmanship, to all referees coordinated by Kurt Lovell and our referee guest Taka San from JICA. Last but not least thanks to Nur Faizah (Faiz Lovell) as Chairman of PRUI Pengda Bali who is always provides maximum support during the event.